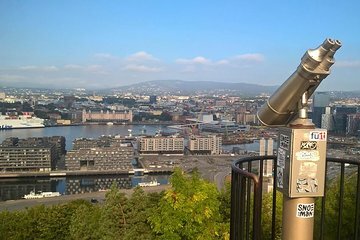 Benefit from personalized attention and a flexible itinerary on this full-day private sightseeing tour of Oslo. Visit local landmarks such as the Oslo Opera House, the hillside Ekeberg, and enjoy a scenic drive along the fjord. Step aboard a ferry bound for the Oscarsborg Fortress and take a walking tour to learn about its history before lunch and a final stop in Drøbak.